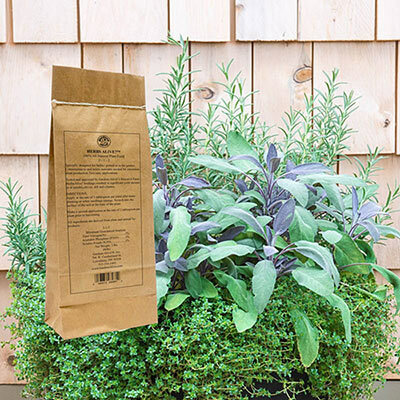 Home » Tools and Décor » Fertilizers » Herbs Alive!™ 1 lb. 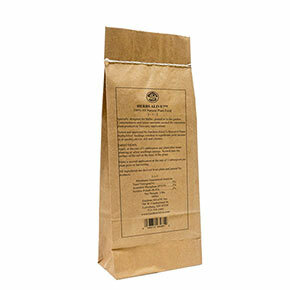 All-natural formula from Gardens Alive! Just the right amount of fertilizer can help your herbs produce more for you to harvest, more often. But herbs need a very careful balance. The typical synthetic, cover-all-your-bases fertilizer will give you a skimpy, unhealhty plant with less scent and flavor. We weren't taking chances. That's why we teamed up with Gardens Alive!, known for their exceptional all-natural fertilizers, to bring you Herbs Alive! fertilizer. This special formula has been developed and tested at their own research garden, and gives herbs just what nutrients they need to perform their best. Simply apply it once when you plant or transplant, and once in fall before dormancy for higher yeilds—and to enjoy a lovely fresh herbal scent in your kitchen garden.